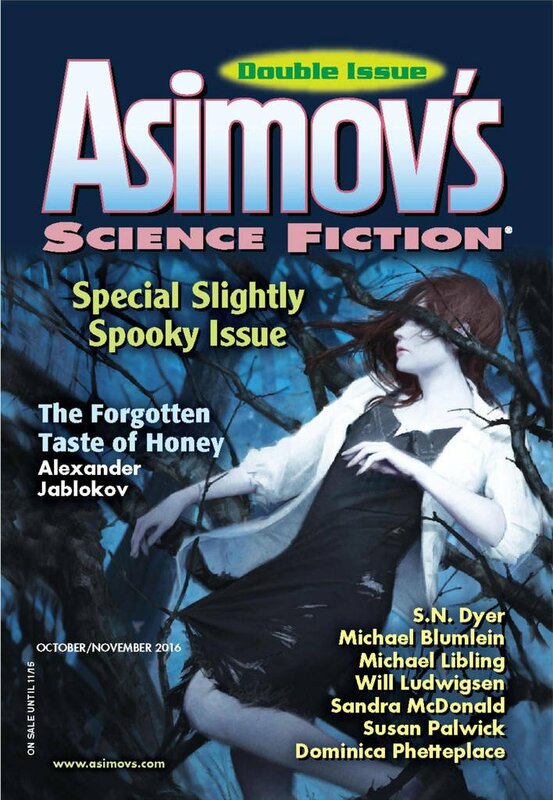 "Project Extropy," by Dominica Phetteplace [bio] (edited by Sheila Williams), appeared in Asimov's Science Fiction issue 10-11|16, published on September 22, 2016 by Penny Publications. There's no plot here at all; no one is trying to accomplish anything in particular--things just happen. Most of the story is told through info-dump narration, and much of that is delivering a political message. What dialogue there is is unnatural.